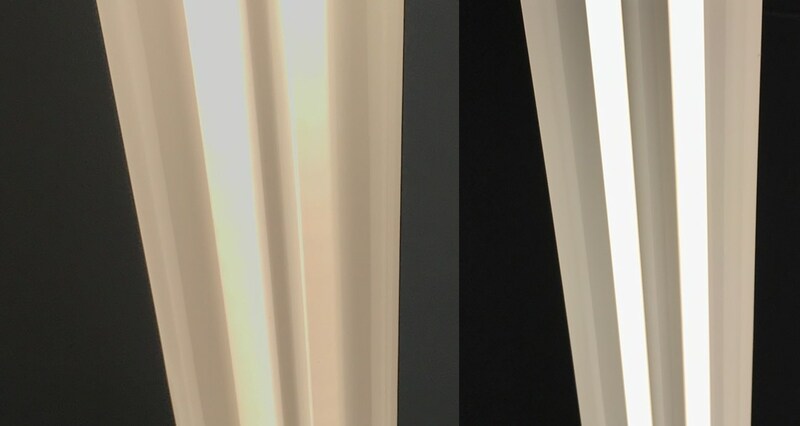 As you can see, the right-most fluorescent tube (in the left half of the photo) has a large dead zone in the middle, and neither fluorescent tube light could be described as providing even lighting. By comparison, the LED tubes on the right provide an even spread of nice bright light—perfect for the garage. If you have 48″ fluorescents in your home/garage, and a local Costco, it might be worth a drive to see if they have the two-pack lights in stock—they’re not listed on the Costco web site, though you can find a four-pack there (at $44 today, or $11 per bulb). Amazon’s FEIT two-pack isn’t as much of a bargain, at $14 per bulb. Amazon does have a couple of 10-packs (one, two) at roughly $9 per bulb, though I haven’t tried either of those. Total up-front cost to convert the garage lighting was $90—not cheap, but I’ll probably never have to replace another bulb, my energy costs will be lower, and it’s a heck of a lot better than $300 to replace all the fixtures. Add in the brighter more-evenly-lit garage, and this was an upgrade well worth its cost. 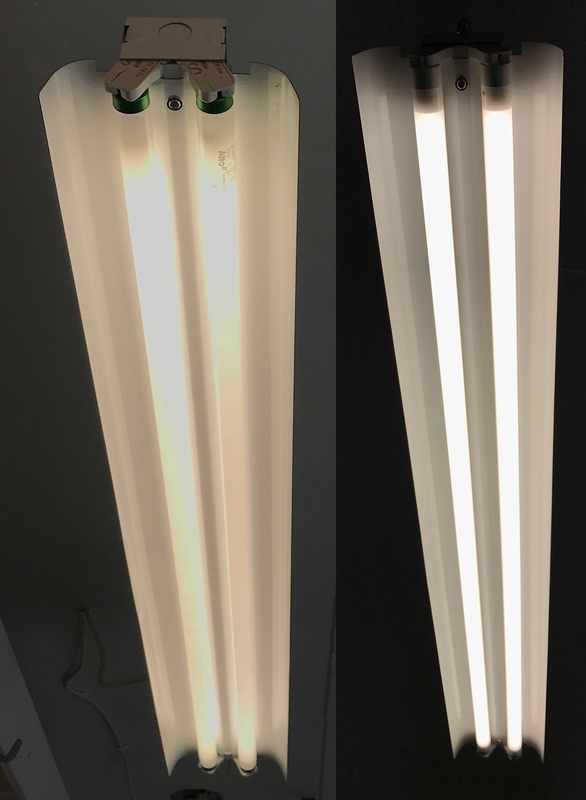 The bulbs are specifically designed to retrofit fluorescent fixtures (T8 in particular, not T12), and specify on the box that no ballast removal is required. I have no safety concerns—especially as they’re in the garage and will only ever be on when someone is in the garage. From a comment on Amazon, if you install them in a T12 fixture, the light will shut off (thermal protection mode) when left on for some length of time. However, someone else commented they’re working fine in their T12 fixture.